Registration is now open for the Ports-to-Plains Annual Conference, co-hosted by the City of San Angelo and the San Angelo Development Corporation. Make your plans now to be in San Angelo September 13 – 15 for this great networking and educational event. We expect about 200 people to attend from throughout the corridor. The annual conference is a great event. It demonstrates the great diversity of the Ports-to-Plains Corridor, but also the tremendous unity in vision in promoting economic growth in our communities. We will have representatives from as far away as Canada and Mexico, but at the conference we will address the economic issues that connect us just as much as the highway. Important issues for rural economic development, infrastructure development and trade policy that benfit our ag and energy driven communities. We are hard at work on this year’s conference to make sure that it is a great event. This is your opportunity to maximize the benefits of your association with Ports-to-Plains. Learn from our great lineup of speakers and network with other community leaders from throughout the corridor, so that we can continue to work together in cultivating an environment favorable for our economies to thrive. Click on the image above for additional information including the Conference Summary, Working Agenda, Sponsors, Accommondations, Sponsor Opportunities and Registration Link. NAFTA is drawing fire in campaign rhetoric this year, but what are the economic realities and benefits of this 22 year old trade agreement for the Ports-to-Plains region? Matthew Rooney shares his insights, coming from a career as a Foreign Service Officer with the US State Department, including a stint as Deputy Assistant Secretary responsible for relations with Canada and Mexico and for regional economic policy. As Director of the Office of Economic Policy, he led interagency and international negotiations in 2008 that produced the Secretary’s Pathways to Prosperity in the Americas initiative, designed to engage with our Free Trade Agreement partners on strategies for ensuring that the benefits of globalization are broadly shared in our societies. A shortage of doctors and other health care providers is a challenge for rural communities. Many economic developers think about infrastructure and workforce when recruiting new employers, but what about the availability of quality health care for those you are looking to attract to your community? Dr. Mitchell gives an update on TTUHSC’s efforts to bring better health care to rural communities and how you can improve this valuable resource for your area. The last two interstates designated in the United States are I-69 and just last year I-14. What impacts will these have on Ports-to-Plains and our efforts to extend I-27? How can we work together? What lessons can we learn? Judge John Thompson is a leader in both of these initiatives and shares his insights. Ports-to-Plains Alliance is working with our members to maximize the benefits of membership and cooperatively market economic development opportunities of the entire region. Steven Jast discusses key elements into what companies look for in site selection, how to target industries with the most potential for your community and the benefits of working with the PTP economic development coalition. Jast began his career in site selection analysis, before starting ROI and growing the business from two employees to more than 70 with offices across the U.S. and Canada. ROI assists economic developers with program design, lead generation and market intelligence among other services. 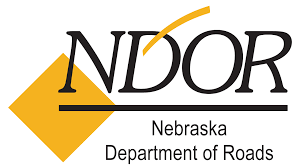 Weather permitting, work is scheduled to begin the week of July 11 on N-385, from West 3rd Street in Alliance, south for 10 miles, according to the Nebraska Department of Roads. 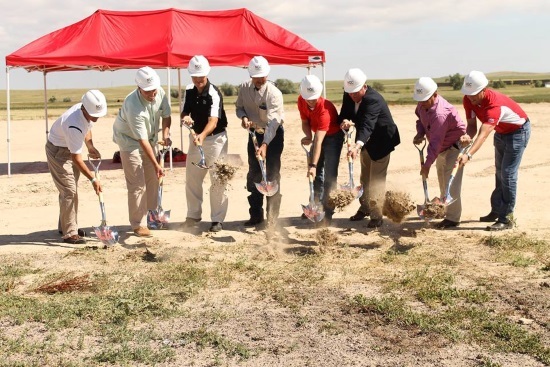 Werner Construction LLC, of Hastings, Nebraska, is the prime contractor for the $26.7 million project. Work will include constructing a four-lane divided highway with a depressed grass median throughout the rural portion of the project, and a five-lane section in Alliance that will provide two lanes in each direction and a center left-turn lane. This project will also include improvements to intersections, drainage structures and lighting. Traffic will be maintained at a reduced speed in work areas. The project is anticipated to be completed in the fall of 2018. The Department of Roads’ project manager is Russ Frickey of Bridgeport. Motorists are urged to use caution while driving through highway work zones and to remember that fines are doubled when workers are present. 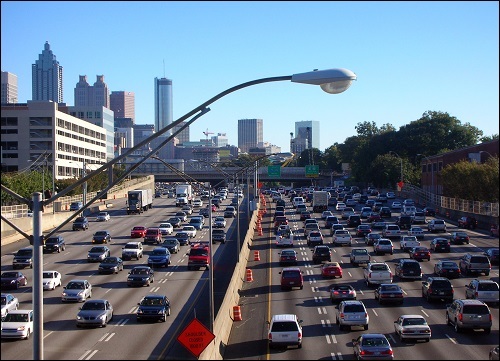 The Interstate Highway System at 60 years old "faces increasing congestion, unprecedented levels of travel – particularly by large trucks – and insufficient funding to make needed repairs and improvements," the TRIP research group said in a new report. TRIP called the network of interstates "the nation's most critical transportation link," and said it "continues to save lives with its enhanced safety features and is largely well-preserved." However, the group warned in a June 27 press release, "an aging interstate system will increasingly require more long-term, costly repairs." June 29 was the 60th anniverary of the law that launched construction of the interstate highways. "The system is increasingly congested, with truck travel growing at a rate twice that of overall interstate travel," TRIP said. "And, while the nation's interstates tend to be in better condition than other roads and bridges, the aging system lacks the required funding for needed improvements and repairs." Welcome Chadron Hospitality Inc. and New Generation Construction. We look forward to having a new Holiday Inn Express next year!! Two years after quietly declaring war on upstart US shale, Saudi Arabia says the need for the fighting is over. In remarks to journalists while on a US visit, Saudi Arabian energy minister Khalid Al-Falih said that the worldwide oil glut has vanished, signaling an end to Saudi Arabia’s strategy of flooding the global market with oil to try to put American drillers out of business. The implication was that Saudi Arabia owned the victory. But a three-week-long resurgence of US oil drilling after 21 months of decline suggests that Saudi and the US fought to a draw. Falih noted that a record volume of oil remains in storage in the US and around the world (paywall), built up during the glut, but once much of that is sold off, the kingdom can resume its traditional role managing supply and demand. Hail, shale! Viva la fracking! Fracking, maligned by activists who would prefer we “keep it in the ground” and avoid the benefits of abundant energy, has made the United States an energy superpower. 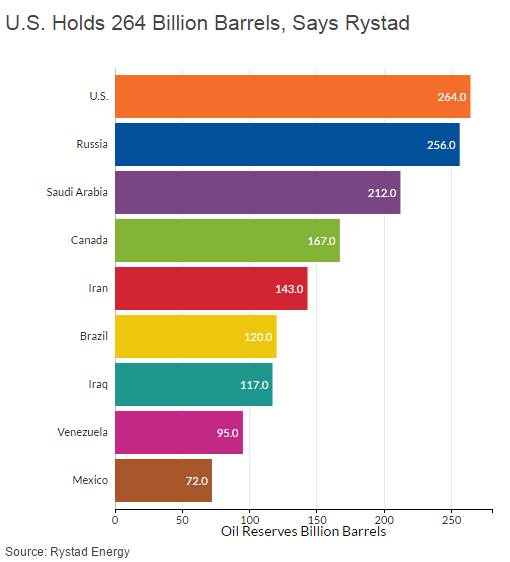 Rystad Energy estimates recoverable oil in the US from existing fields, discoveries and yet undiscovered areas amounts to 264bn barrels. The figure surpasses Saudi Arabia's 212bn and Russia's 256bn in reserves. Oil prices won’t rise much further over the next year and a half as demand growth slows and refiners comfortably meet gasoline consumption, according to the world’s largest independent oil-trading house. Since rallying from a 12-year low of $27.10 a barrel in January, Brent crude has been hovering around $50 a barrel for the last month. The international benchmark will probably end the year “not too far away from where we are today” and rise to about $60 by the end of 2017, Taylor said. The forecast, which coincides with a similar view from Goldman Sachs Group Inc., would mean oil-rich countries and the energy industry face a prolonged period of low prices, more akin to the 1986 to 1999 downturn than the swift recovery after the 2008 financial crisis. Vitol trades more than 6 million barrels a day of crude and refined products — enough to cover the needs of Germany, France, Italy and Spain together — and its views are closely followed in the energy market. Brent crude fell to $49.09 a barrel in London at 12:53 p.m. local time, down $1.01 on the day. In New York, West Texas Intermediate, the U.S. benchmark, fell to $47.87 a barrel. Texas-based Tesoro Corp. has bought an oil refinery in southwestern North Dakota that has struggled to turn a profit due to a dramatic fall in demand and low diesel prices. North Dakota-based MDU Resources Group Inc. and Indianapolis-based Calumet Specialty Products Partners LP spent $430 million on the Dakota Prairie Refinery in Dickinson. It has not been profitable since it began selling fuel last year. The plant lost $7.2 million in the first three months of the year, and officials in May announced plans to operate it at only 75 percent capacity. The developers also had considered a similar plant in Minot but late last year delayed those plans because of the red ink at the Dickinson plant, which currently totals about $66 million. MDU Resources subsidiary WBI Energy Inc. on Monday bought out a subsidiary of Calumet and sold the refinery to a subsidiary of Tesoro for an undisclosed price, the companies announced Tuesday. Second in a series by Consumer Energy Alliance the relationship between agriculture and energy is explored. A majority of Colorado's 37.000 farms rely on Colorado energy to bring locally grown, sustainable food to your table. the Same story is true across the Ports-to-Plains region: North America's Energy and Agricultural Heartland. The other problem with the original FAO report is that folks took the international number and applied it to individual regions of the world. Livestock are a much larger relative contributor to GHG in some developing countries because their transportation and energy sectors are relatively small. Conversely, energy and transportation dwarf livestock’s contribution to the carbon footprint in the U.S. and other developed countries. Frank Mitloehner, an animal science and air quality specialist at the University of California, Davis (UC Davis) will show you two pictures from either side of a California fence. There are 40 acres on one side occupied by a third-generation dairy with 1,000 cows. On the other are 40 acres occupied by a 5-year-old residential development with 1,000 homes. The residential development sued the dairy over environmental quality — and won. It didn’t matter that a subsequent comprehensive life-cycle assessment — an assessment of all environmental footprints — conducted by UC Davis researchers showed that converting farmland to residential land is 70 times more harmful to the environment. 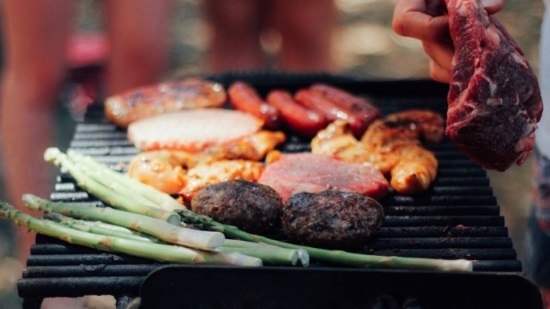 It mattered not that the U.S. has the most environmentally friendly livestock industry in the world, as measured with scientific fact by its carbon footprint. Never mind that the 2050 challenge looms — the need to produce 100% more animal protein within the next 34 years, in order to feed another 3 billion or so more folks. When we talk “local,” we need to talk about how safe and efficient our food is. Our beef stays in the U.S. and is consumed by people who care about how their beef was raised. To me, that is what “local” is all about. You probably see these two terms on your menu when you’re at a restaurant or buying beef in the meat case, right? 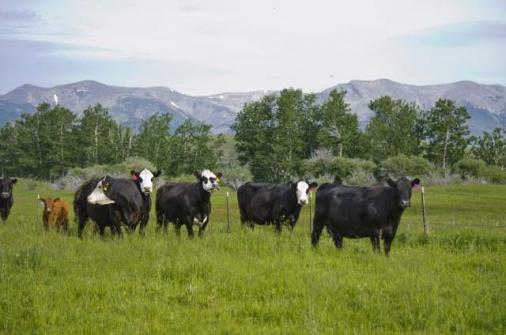 While local has a different meaning to different people, you can be confident that most of the beef you eat right here in the U.S. is “local” because it is raised and grown right here! The idea of local food excites the senses — tidy fields, yielding a bounty that travels just a few miles, touched by a few hands on its way to the table. However, the challenge with geographically local food is that not every environment is suited for all types of food production. Our family raises only beef. This is kind of rare in our area as many cattle producers also grow crops.